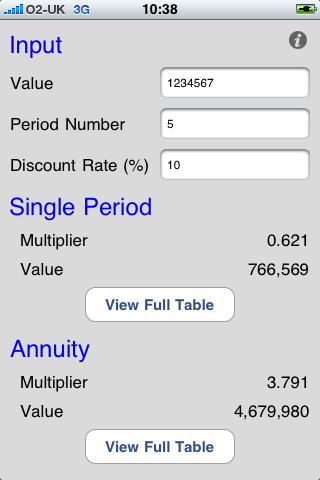 The present value calculator can calculate the present value of a single cash flow, an annuity for a set period or a perpetuity starting from a set period. All it needs is a value, a discount rate, and your chosen period. The app also presents present value tables covering the first 100 periods.